These AV Interfaces allow you to connect up popular aftermarket devices such as DVD Players, Digital TV Systems, Games Consoles and much more to your factory screen. All hidden behind the scenes to maintain that important OEM Look and Feel! 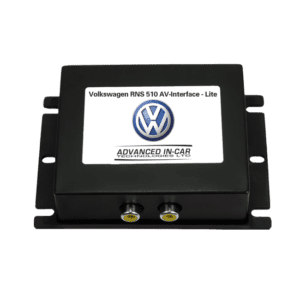 This AV Interface is suitable for VW vehicles with the MFD 3 / RNS 510 Navigation System. 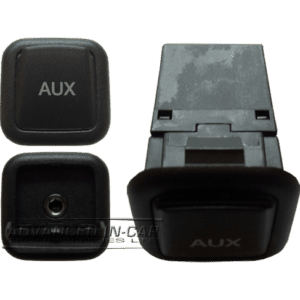 Connect Aftermarket devices! 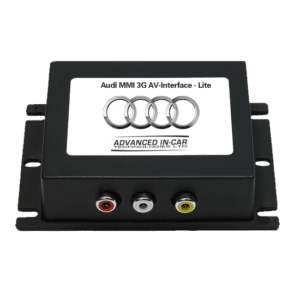 This AV interface is compatible with vehicles with the MMI 3G System. Connect up DVD, Digital TV & Games Consoles etc. 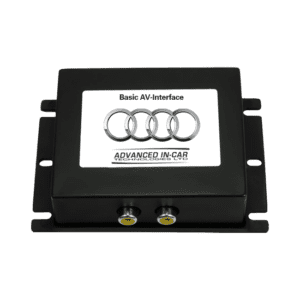 This Lite AV interface is compatible with vehicles with the RNSe System. Connect up DVD, Digital TV & Games Consoles etc.